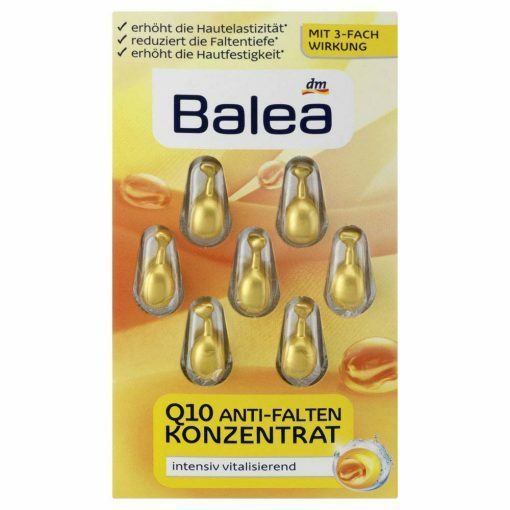 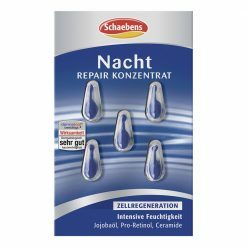 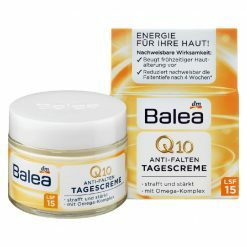 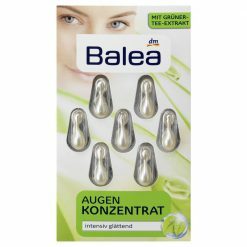 Balea Anti-Wrinkle Concentrate with Q10 and Ginseng Extract reduces wrinkle depth *, increases skin elasticity * and increases skin firmness * .Your skin appearance looks smoother and younger with regular use • Vitamin E protects your skin from premature photodamaging • Shambrilla oil absorbs very quickly and leaves the skin feeling silky-soft. * In vivo study on 20 volunteers, 4 weeks. 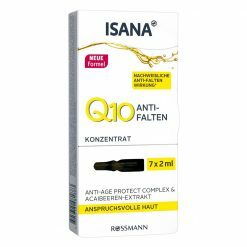 Dimethicone | Dicaprylyl Ether | Hydrogenated Polyisobutene | Isohexadecane | Trisiloxane | Squalane | Limnanthes Alba Seed Oil | Tocopheryl Acetate | Helianthus Annuus Seed Oil | Parfum | Ubiquinone | Panax Ginseng Root Extract | Tocopherol.